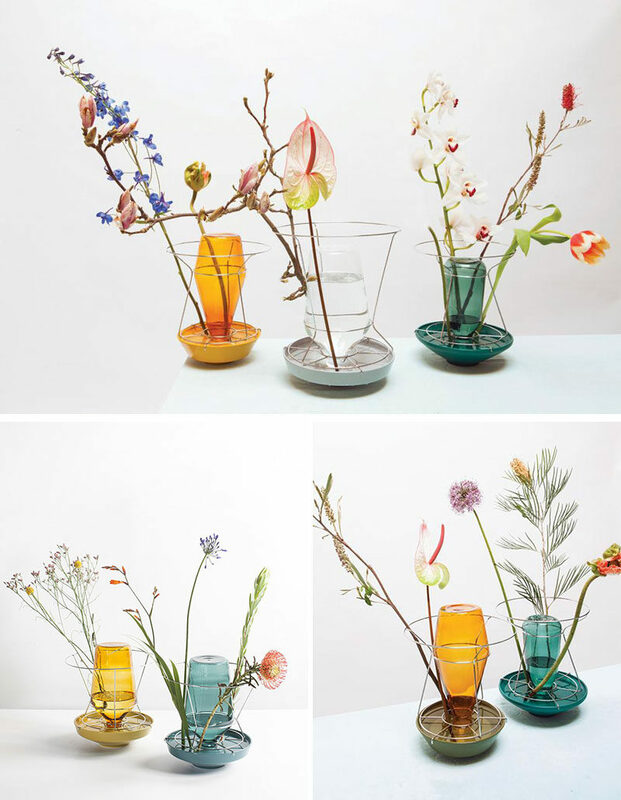 Photography by Athos Burez and Siska Vandecasteele. 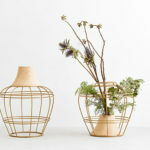 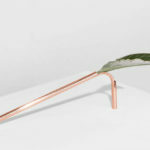 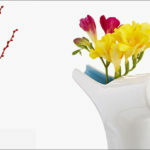 Rotterdam-based designer Chris Kabel has created a collection of contemporary vases that show off the stems of the flowers, instead of hiding them away. 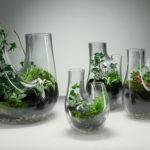 The collection, named Hidden Vases, have the water source turned upside-down, and the flowers appearing to grow from the plate. 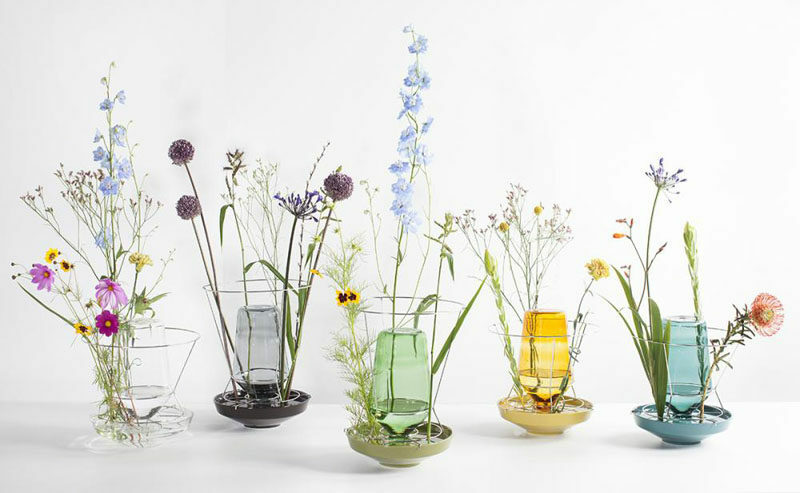 Each vase, created for Valerie Objects, is made from a glass container that holds the water in a ceramic bowl, while the metal framework keeps the flower stems upright and on display.